Roman Blinds will add a luxurious and stylish look to your home. Our collection provides a wide range of plains and patterned fabrics. Roman Blinds add beauty and elegance to any room in the house, giving a fashionable style in a simple way. They are easy to operate, maintain and are commonly used as an alternative to curtains. When choosing Roman Blinds, you have a wide variety of choices to pick from. These include: plain or with a front batten finish, a huge range of plain or textured fabrics; block-out or light-filtering. There is always one that will suit your style and décor. 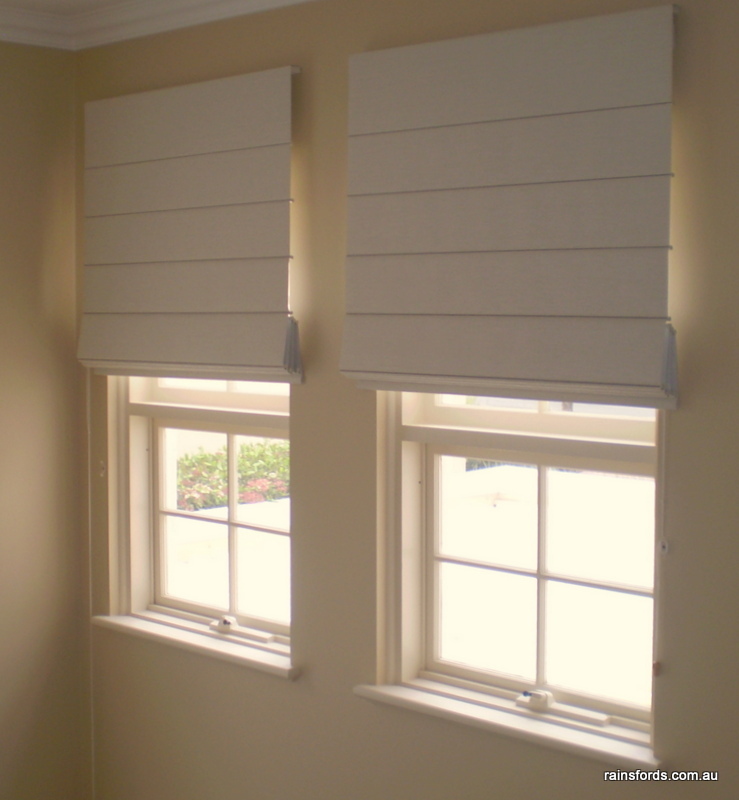 Our Roman Blinds are all made with aluminium extrusions which are "upgraded Roman Blinds." There is no sewing in the process which results in no stitch holes becoming visible on the block-out fabrics. 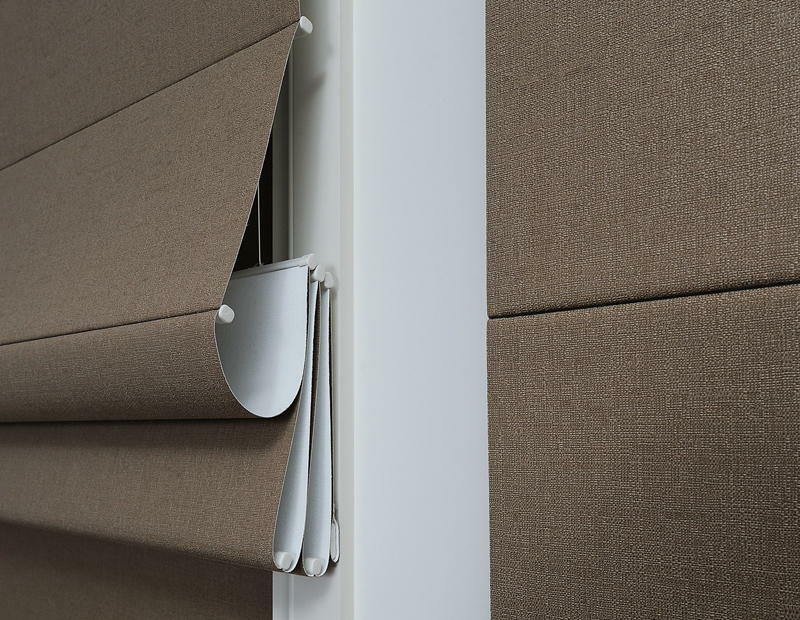 Since we use the aluminium extrusions as the back batten; our Roman Blinds folds up and down perfectly.